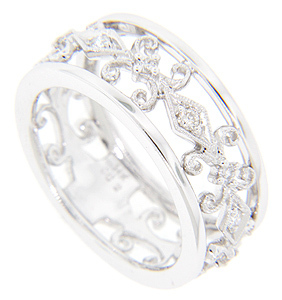 This beautiful antique style wedding band has a delicate fleur-de-lis pattern set with diamonds. There are approximately .20 carats total weight of diamonds in the 14K white gold ring. Size: 7. We can slightly re-size.